I should say “Old woman knitting” but I’m feeling very age-sensitive myself so I’ll leave it as is. 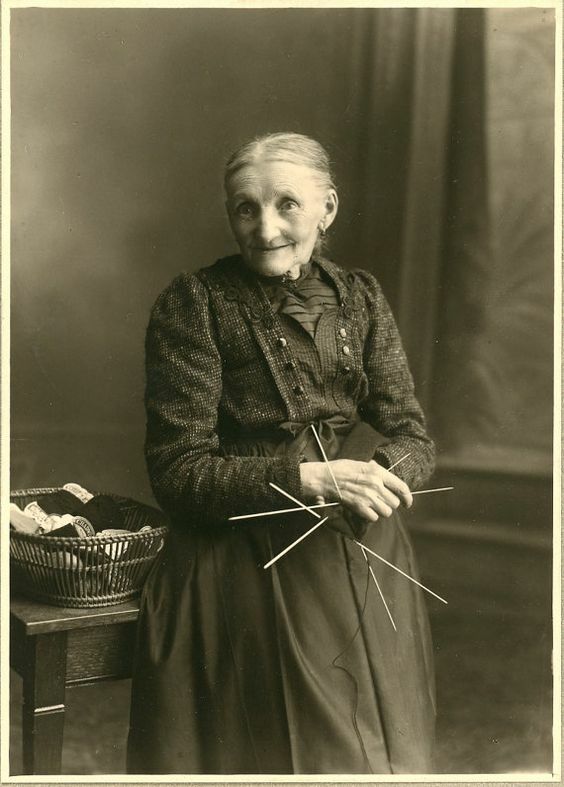 This image was sold on etsy from by shop in Brussels, so I suppose she’s probably an “Old Belgian woman knitting” but of course, we can’t be sure. “Old European woman knitting?” And what is she knitting? Is that a sock? Is this “Old European woman knitting a sock?” I suppose it could be a hat, but I get the impression that knit socks (or stockings!) were in more demand, they are, after all, likely to wear out much faster. This “Old European woman knitting a stocking” seems quite happy as well. Perhaps that’s the wisdom the knitter and photographer want to impart to us: knitting is the secret to happiness! A message I can live with. I love this picture. She is definitely a happy knitter! Isn’t she? I’d love to be at a knitting meet-up with her to hear all her stories and tips & tricks. She’s a little ahead of her time, knitting a model Sputnik to pass to her Russian cousin. It will survive the Russian Revolution and Stalin, be passed down a generation or two, and re-emerge in the late 50s just in time to solve a troubling Soviet engineering problem that was preventing Sputnik from launching. Accidental hero & engineering pioneer, and she looks like she might know this & be delighted, even if it does help the commies.